R5-D4 apparently blows out his motivator in Episode IV: A New Hope. Malfunction, sabotage, or self-sacrifice? Courtesy of LucasFilm/Disney. Had the Lars-Skywalker family not purchased R2-D2, he, and the urgent message for the aging Obi-Wan Kenobi, would have been left in the custody of the Jawas, enslaved by restraining bolt, until hopefully purchased at some later date by someone else. “Old Ben” Kenobi might have died a hermit in the Dune Sea. From there, who knows what would have happened to the Rebellion, attacked at Yavin IV by a Death Star whose weakness they didn’t know. What might have happened to the galaxy if the Battle of Yavin was merely a footnote in the Imperial Archives rather than a decisive battle of such significance that all Star Wars events cite it as the zero-hour for a timeline spanning thousands of years forward and back? Were these questions R2-D2 posed to himself when deciding to take the extreme measure of sabotaging R5-D4 to ensure it was he, not “Red”, who ended up with Luke Skywalker? R5-D4 leaves R2-D2 behind for the moment. Courtesy of LucasFilm/Disney. On film, Episode IV: A New Hope , R5-D4’s bad motivator and his subsequent replacement with consolation prize R2 looks like bad luck or poor droid maintenance on the part of the Jawas. The official radio drama of A New Hope presents a longer narrative with a more nefarious cause to the troubles experienced by the R5-series droid Skywalker nicknames “Red.” In true Han-shot-first spiritual kinship, R2-D2 actually sabotages the other astromech droid to ensure his own purchase, according to the unabridged Star Wars: The Original Radio Drama. R2, knowing the importance of his mission from Prince Leia, and that his best chance to find Obi-Wan Kenobi lies in being bought and escaping at his earliest opportunity, actually sacrifices another droid. Is this true or merely Fox News-style embellishment? We may never know for sure. The films are the ultimate canon, but radio dramas from the films have long been held as canon, too. 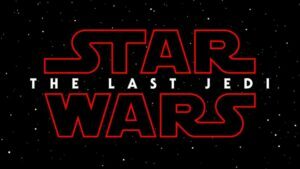 Several examples exist of the Lucasfilm-authorized radio dramas including in-canon details left off celluloid. Is R2’s sabotage of R5 one of those? Both Disney and Lucas before it have been silent on the matter, leading some to conclude that R2’s guilt is being covered up at the highest level—George Lucas himself. After all, sources argue, Lucas has fumbled through decades of attempted misdirections and obfuscations of Han Solo’s pre-emptive blasting of Greedo. R2-D2 worries as Lars Owen and Luke Skywalker decide to buy R5-D4 “Red” instead of him… Or could R2’s expression be satisfaction, knowing that his sabotage of R5 will soon come to fruition? Courtesy of LucasFilm/Disney. Others equate the R2 sabotage story with even more incredulous tales told about R5-D4. In one, Red actually damaged himself to thwart his purchase so that R2 could succeed in his critical mission. 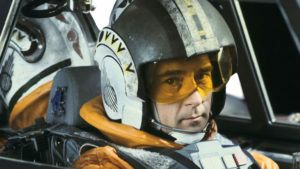 Red, it was said, was a Rebel sympathizer willing to sacrifice himself for the greater good. With Red presenting as if he had a bad motivator, Lars’s only other choice for an astromech purchase was R2. 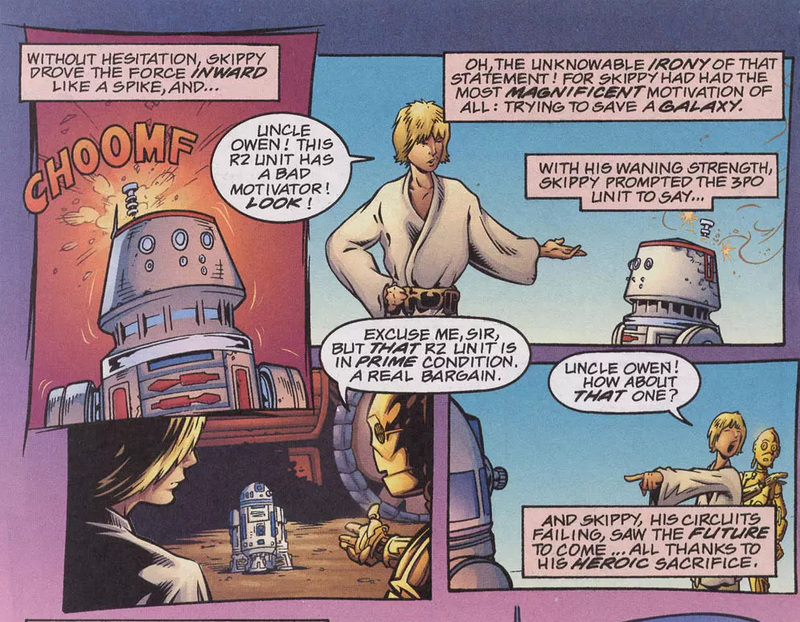 The most outlandish story yet was told in the far-from-canon Star Wars Tales issue number 1. In the Peter David-written story inside, R5-D4 is the titular “Skippy the Jedi Droid.” R5-D4—Skippy—is a Force-wielding droid serving drinks in the palace of Jabba the Hutt when, one day, he uses Jedi mind-control techniques to influence a Gamorrean guard into allowing him to runaway. Skippy escapes the palace to be salvaged by the nomadic Jawas. While in their transport, Skippy receives a vision from the Force, a vision that reveals to him Darth Vader’s evil, the plight of Princess Leia and the galaxy, and the role to be played in the coming salvation of the latter from the former by R2-D2 and C-3PO, both of whom have just been picked up by the same Jawa sandcrawler. Presented for sale to Owen Lars and his nephew, Skippy instantly recognizes the Force potential in Skywalker. He again uses his Force powers to ensure his purchase, only to subvert the sale only a moment later. Though overjoyed at the prospect of being partnered with a powerful Force-sensitive with whom he could commune, Skippy quickly understands the horrible fate that awaits R2-D2, Leia, and the galaxy as a whole should he allow himself and not R2 to become Skywalker’s droid. Poignantly, Skippy sacrifices his joy, and indeed himself, for the greater good. 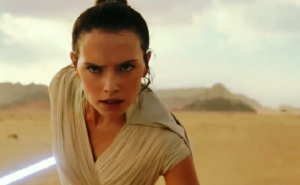 He attacks himself with the Force, driving it “inward like a spike,” setting off a minor explosion within himself and simulating a motivator malfunction. He then nudges C-3PO to suggest R2 as Skippy’s replacement. For Skippy, the act is the ultimate sacrifice: he is soon destroyed in the Stormtrooper raid on the sandcrawler. R5-D4 is really Skippy the Jedi Droid. Courtesy of Dark Horse Comics. While you may be tempted to dismiss this story out of hand, there is one final twist to reveal, dear reader. This adventure is recounted in the panels and pages of Star Wars Tales, a comic book series filled with stories that could only have come from the sort of delusions that result from drinking spoiled blue milk and, as I already told you, was so far out of canon it wasn’t even Expanded Universe. Yet within Star Wars Tales isn’t the only mention of Skippy the Jedi Droid. That particular legend became Legends indeed and formerly canon in the in-continuity essay “Droids, Technology and the Force: A Clash of Phenomena” written by Jedi Knight Tam Azur-Jamin. 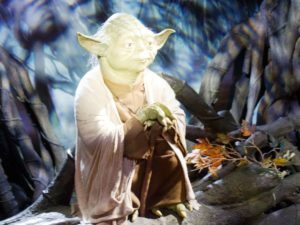 The essay was incorporated into an article published on Hyperspace, the now-defunct, then-official Star Wars Fan Club website that produced other in-canon content. 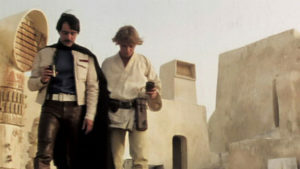 More importantly, the status of “Droids, Technology and the Force: A Clash of Phenomena” and its content of being canon was cemented by its inclusion in the 2008 The Complete Star Wars Encyclopedia , which has only since been decreed Legends and not Canon to make way for future stories in the Disney-owned Star Was universe. R5-D4 publicity photo. Courtesy of LucasFilm/Disney. In the essay, Azur-Jamin discusses several examples of technology interacting, and indeed merging, with the Force; mentioned in passing but unequivocally is Skippy the Jedi Droid. Ergo, the existence of Skippy, be he R5-D4 or another droid from another time or place, is Star Wars fact. Which story is fact? Which are fiction? Was R5-D4 just broken down, or did R2-D2 help him break down? 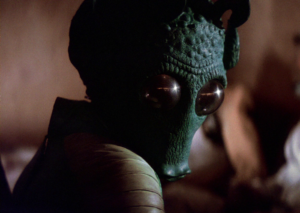 Or, was R5 really Skippy the Jedi Droid, sacrificing himself for the fate of the galaxy? You decide! R5-D4 appears on film only in A New Hope though he does also appear on the 1980 Christmas in the Stars: Star Wars Christmas Album where he is kissed by Chewbacca beneath the mistletoe. Other R5-series droids appear in the background of most Star Wars films and television shows, including R5-D8, the astromech belonging to X-Wing pilot Jek Tono Porkins, who fights in the Battle of Yavin. 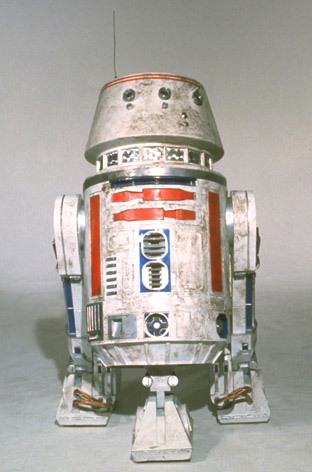 R2-AG units, which are R2 astromechs in R5 bodies, are also found throughout the Star Wars universe. Despite his short screen time, R5-D4’s bad motivator earns the droid an action figure in every line of Star Wars action figures since the original. It also made R5-series droids popular in the now closed massively multi-player online roleplaying game, Star Wars Galaxies , in which players could build, sell, and buy R2, R3, R4, and R5 droids with customizable color schemes. The most popular, of course, was R5-D4’s signature red decals on a white body. R5-D4 aboard the Jawa sandcrawler. Waiting patiently? Already the victim of sabotage? Or having a Force vision? You decide. Courtesy of LucasFilm/Disney.